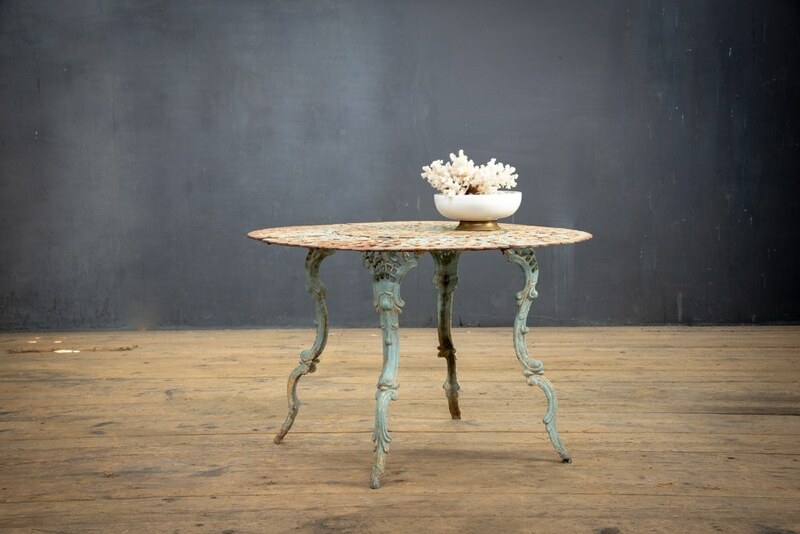 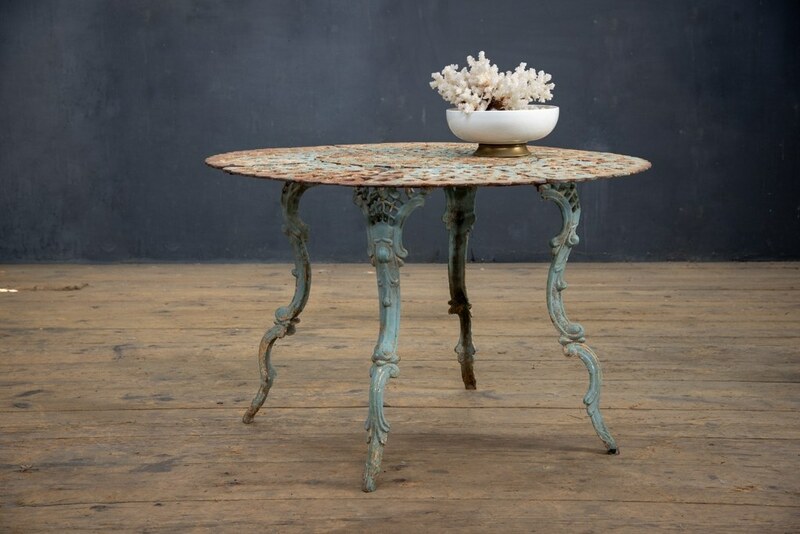 USA, 1940s, Vintage Dumbarton Cast Iron Garden Table. 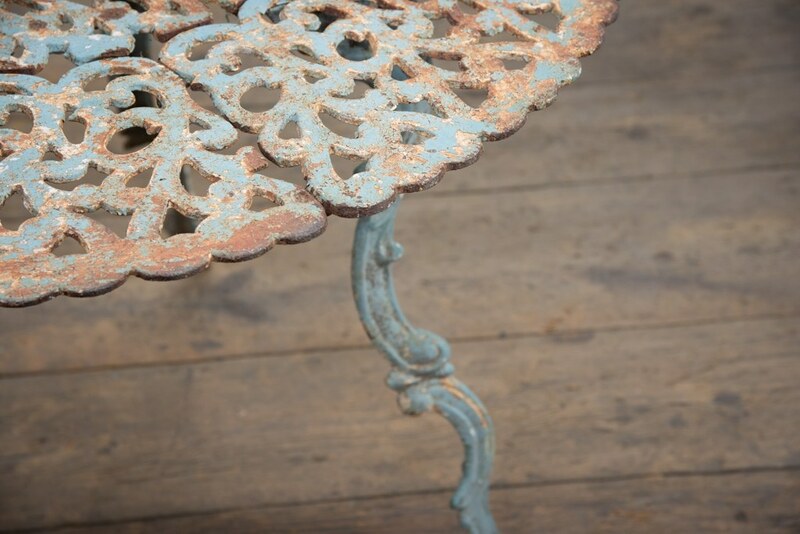 Elegant, Intricate Iron Design. 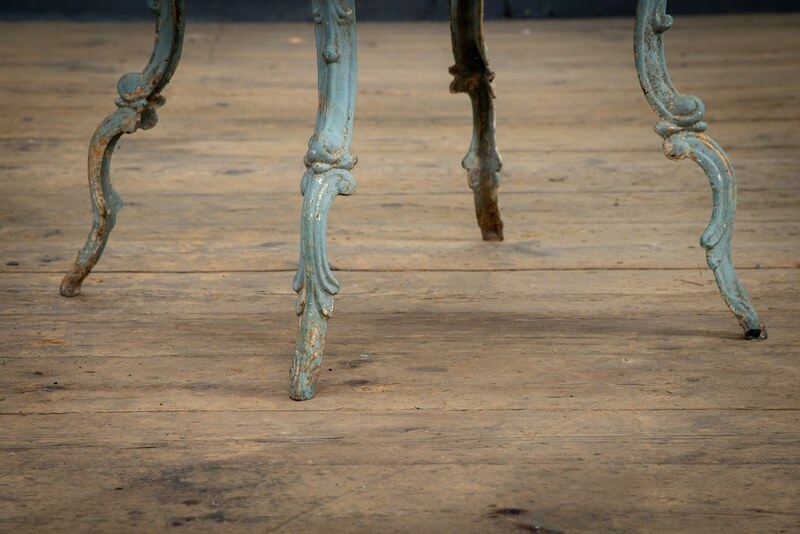 Time Worn Patina to the OLd Seafoam Green Paint.